“Flying Shame” has gripped the nation of Sweden. Climate-conscious travel has lead to a decline of passengers flying by air, as they seek out low carbon alternatives such as rail travel. This has made national carrier SAS worried about the longevity of their business model, as more and more customers decide not to fly. A recent report from the World Wildlife Fund (WWF) has revealed that 23% of Swedish people have decided not to fly in the last year because they perceive it to be bad for the environment. This number is huge, considering many other countries in the world are seeing a growth in air travel. Take, for example, China, who are seeing record passenger numbers year after year as their population takes to the sky. This phenomenon has gone so far as to even add new words to the Swedish vocabulary. One such word is “flygskam”, meaning flying shame, another is “smygflyga”, meaning flying in secret. They have also invented a word for those who post on social media whilst taking the train; “tagskryt”, meaning train bragging. Alternative transport options have, predictably, seen a boost from these climate conscious travelers. The state-operated rail company, SJ, has reported a massive boost in numbers riding with them due to climate awareness. The impact of this trend is being felt throughout the Swedish aviation industry. 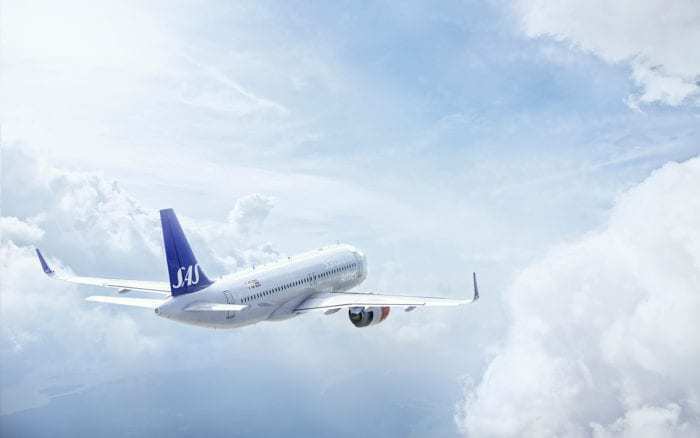 Swedavia AB, a firm that operates 10 airports in Sweden, has noted that passenger growth has been declining, and that year on year numbers are falling further. Reducing emissions by 25% by 2030. Moving much of their fleet over to more fuel-efficient aircraft. 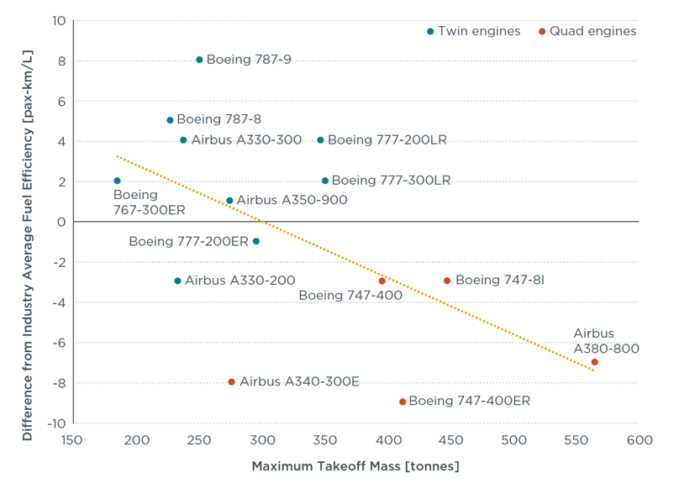 These would be planes like the Boeing 787 Dreamliner which has one of the best seat to fuel burn ratios on the market. They also want to use more biofuel in their petroleum mix. Although it can be argued that biofuel is bad for the environment due to the intensive farming necessary, the popular public perception is that it’s a whole lot better than regular oil. Retiring aircraft like their A340 (they have eight in their fleet) and others that are simply products of a different age, and whose operation has a poor environmental record. They currently have eight A350s on order. Investing in a carbon sink. By offsetting the cost of flights, they will give passengers the ability to have a carbon-neutral travel option. Use technology to minimize waste on board. Like the HiFly A340 that went plastic free, this across the network would massively reduce pollution and save the company money. Additional steps like allowing passengers to order food online would further reduce wastage. 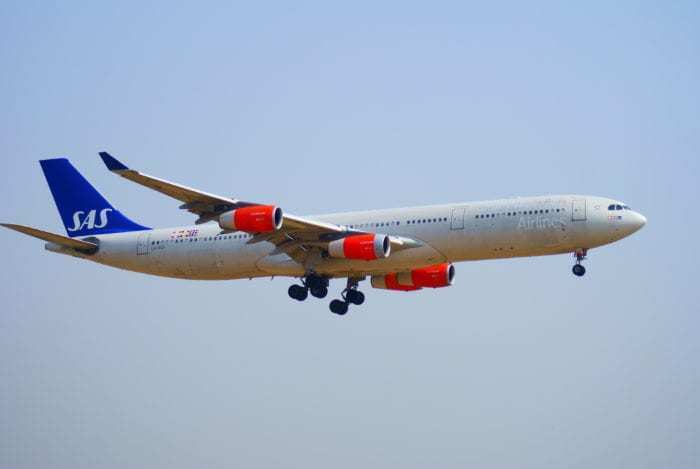 But SAS has confirmed that they are confident that air travel will always be in demand. “Airlines, like other infrastructure, are needed in order for us to have the societies we want, with growth, transparency, openness, clarity, and tolerance. It’s important that people can continue to meet and that the world can continue to travel. But we can’t continue to just travel without adjusting to a sustainable way.” – SAS Chief Executive Officer Rickard Gustafson to Bloomberg. Typical left-wing panic. Flying represents 2% of human CO2 emission worldwide. So, stop flying, but continue to produce Volvo cars, and ship IKEA goods all over the world…that’s a well thought-out plan! While you’re at it: don’t forget to ban volcanic eruptions and forest fires, because they’re far more polluting than aviation. It’s only a matter of time before this also starts in other countries. Regarding Sweden, who are you to judge those people? They are doing what they want, they are free… Therefore, if they want to cut flying in their life, good for all of us. And the ones making efforts for that are the ones making efforts on the rest. And last but not least… The problem of greenhouse gasses and climate change is the human activity… So you’re mixing up things to make them look stupid. All you succeeded is to show your s********.